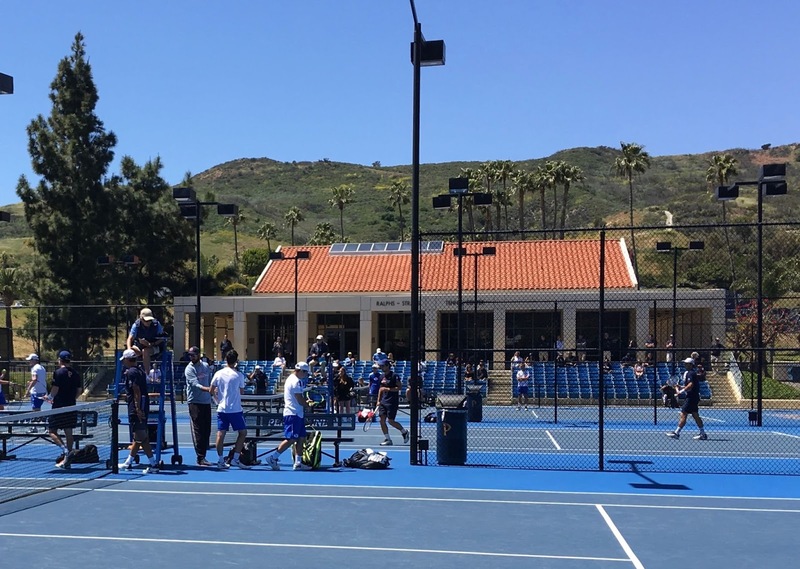 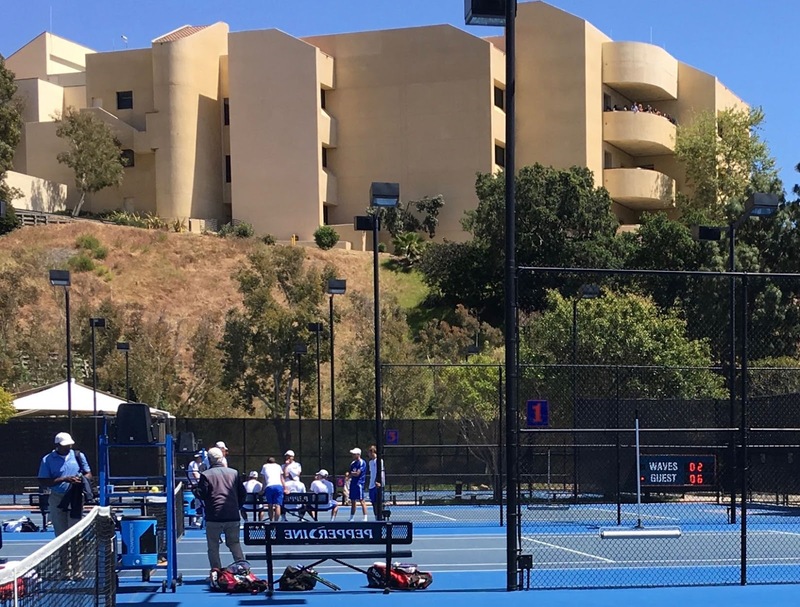 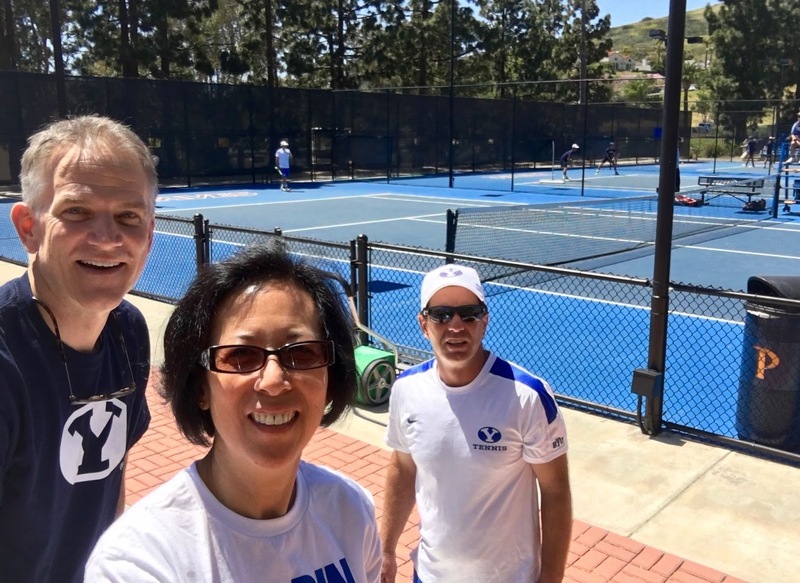 Such a beautiful day in Malibu to cheer on our missionary's BYU tennis team! 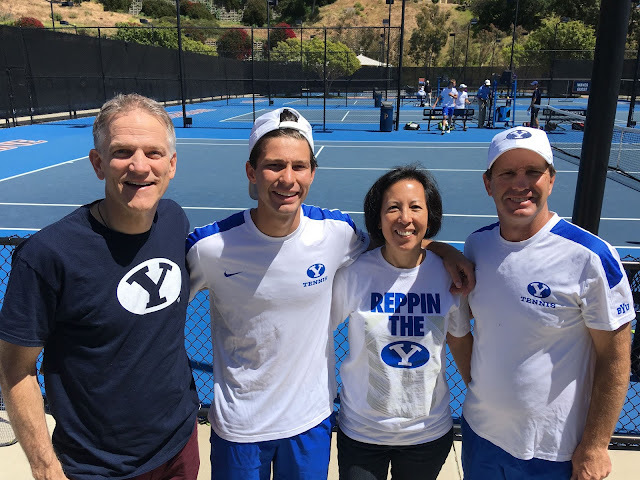 playing tennis for BYU, partnered with your brother in doubles, and coached by your dad! 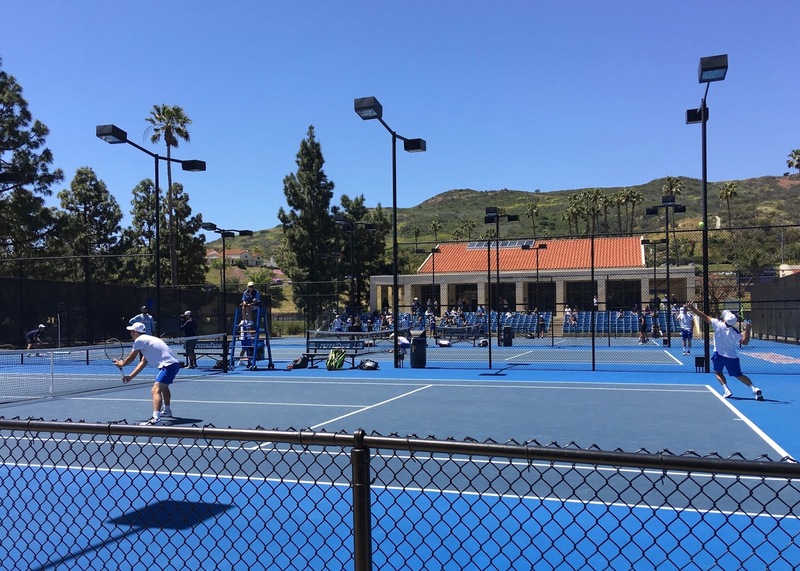 They won the match with ease, 6-0 and 6-2!